​have not stood up to live." The web series is based around a select group of surfers and them breaking down their home breaks. The series features Nat Young, Billy Stairmand, Conner Coffin, Jordy Smith so far.. The series kicked off with my good friend Nat Young breaking down his home break Steamer Lane. It was really fun to get back to my roots and where Nat and myself have spent countless hours stacking clips over the past years. It was a breath of fresh air and I welcomed getting back to my surf film making roots. Nat's surfing has really progressed over the years and Nat is really just an all around good guy. 2014 has been an incredible chapter in my life. I spent most of the year on the go traveling with Lucas Gilman and his production company. Under Lucas Gilman Productions, I went to Iceland, Peahi, Maui , Peru, Oahu, and Micronesia. I had the opportunity to work on some incredible projects and meet and revisit some old familiar faces. I achieved a life long dream since I started shooting photos and was Published by National Geographic in their online feature Extreme Photo of The Week. I was also Hired by Red Bull to cover what now will go down as one of the most recent historic swells to hit Mavericks in the past decade. Also a short film I produced, The Aloha Project, took off virally and was one of the works I have been most proud of to date. Just when you think you've done and seen it all, something comes along and surprises you. As I was wrapping up a shoot in Peru and looking forward to some much needed down time, Luke Davis invited me on a last minute trip to Micronesia. This of course was being squeezed in-between another project I was supposed to start on 5 days later. 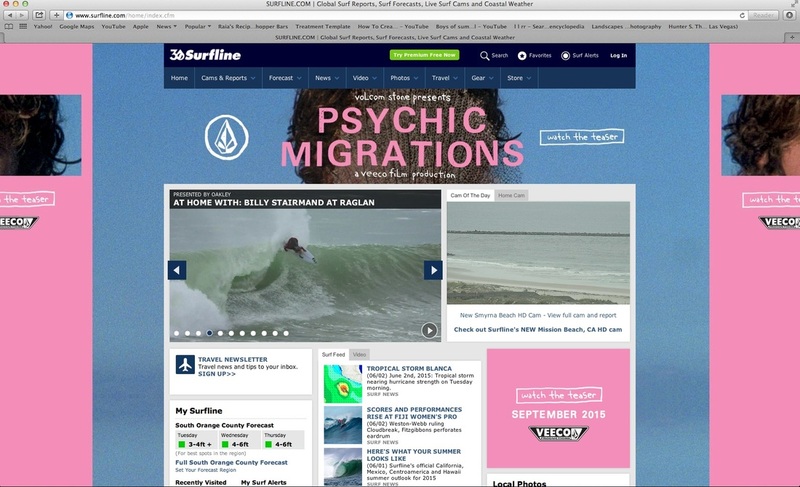 The trip was one of the best surf trips I had ever been on in my life and Surfline ran a full trip feature. Earlier in the year I went on another surf trip for Oakley. We took off to Nicaragua where Eric Geiselman pulled the first flip I have ever captured on film. Also a huge thank you goes out to the people at Magnetic Creative, Fugoo and Passenger Clothing as they took me in as part of their family and respective companies. I took a personal trip to Tahiti this past summer and got really, really barreled. January 1, 2014 was a memorable date as well for me as I finished a personal life long goal and finished backpacking the entire Ko'olau Summit Range solo, unassisted, and in one shot. That was the best possible way I could have started off this year. 2014 has been nothing short of an incredible year and I look forward to what 2015 has to offer. The world is a book and I'm just trying to read it one page at a time.